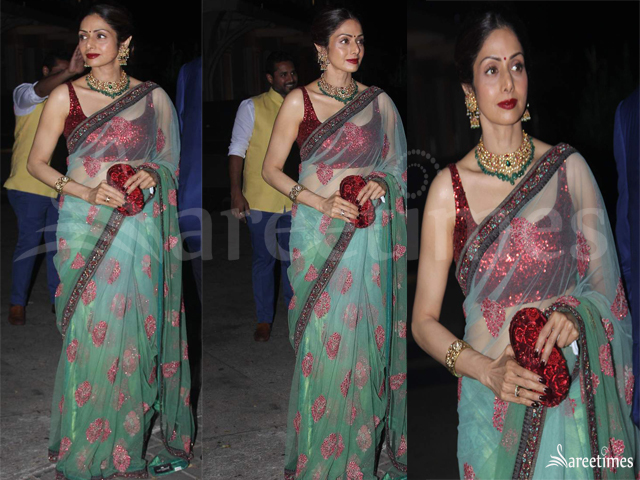 Sridevi at a wedding reception in a Sabyasachi designer saree paired with a red sleeveless blouse. Sonal Chauhan was spotted at the launch Festive Florals launch event wearing a red and blue lehenga with gold embroidery and embellishments paired with red net dupatta, designed by Sumona Parekh. 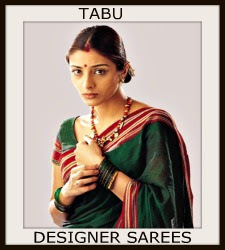 Sushmita Sen celebrated Durga Puja wearing a white and red narayanpet weave saree, paired with a red color elbow length sleeves blouse. 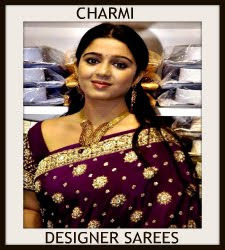 Actress Sonali Kulkarni in white and black half and half silk saree with white frills followed by black and red rich pallu paired with a red blouse. Nayanthara was spotted at the GRT Jewelers event in Dubai in a green handloom cotton saree paired with contrast red sleeveless blouse. 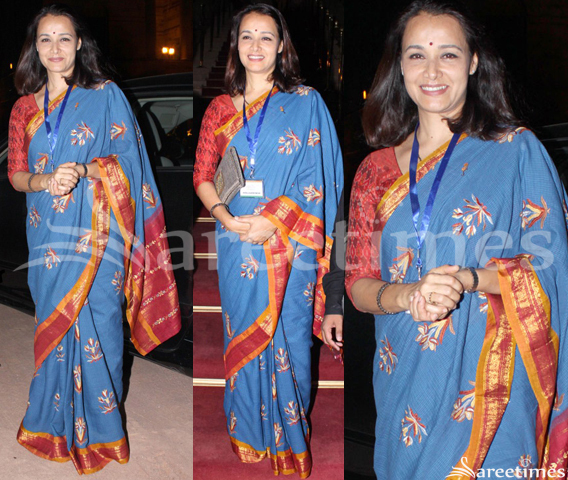 Amala akkineni attended the "Swachh Bharat Abhiyan Nominees" event wearing a blue color silk saree having floral embroidery and a red and orange zari border, paired with a contrast red color printed, quarter length sleeves blouse. 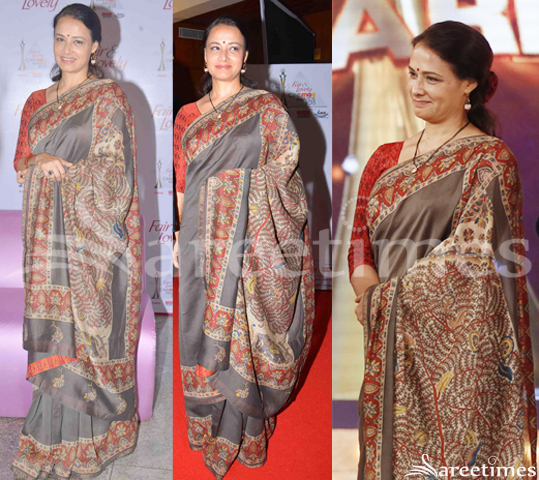 Amala Akkineni attended Cine MAA Awards 2015 in grey color kalamkari print saree paired with a red color printed elbow length sleeves blouse. 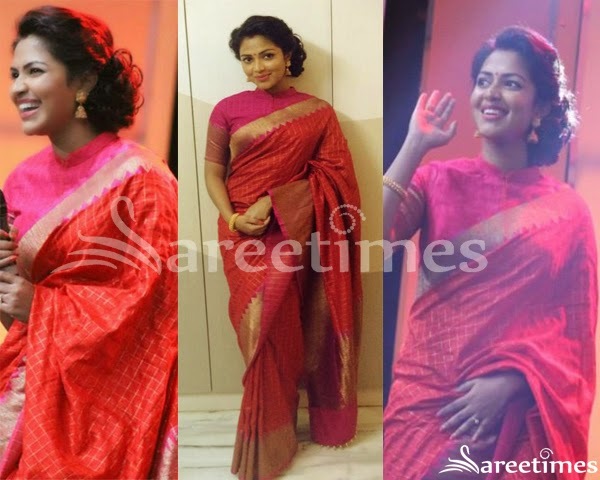 Eesha attended the audio launch event of “Hora Hori” wearing a shimmering gold tissue saree with red and gold embroidered patch border paired with a contrast red short sleeves blouse. 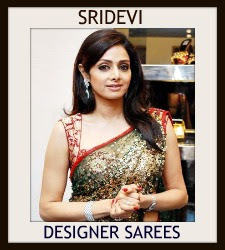 Sridevi VijayKumar attended a recent event wearing a blue color lehenga saree having embroidered patch border, paired with contrast red brocade blouse. 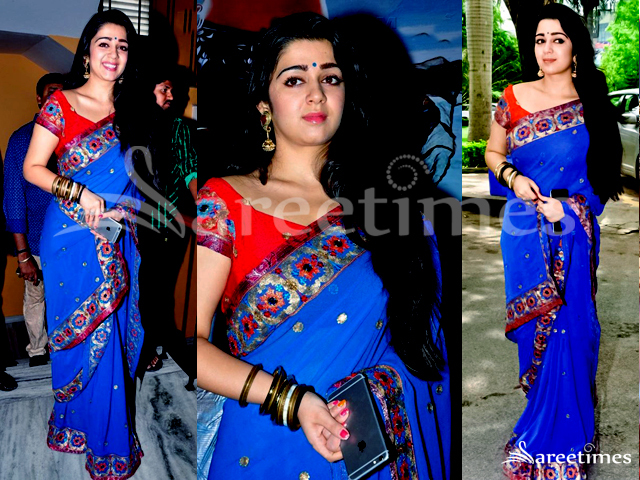 Charmi was seen attending the success meet of the movie Jyoti Lakshmi. 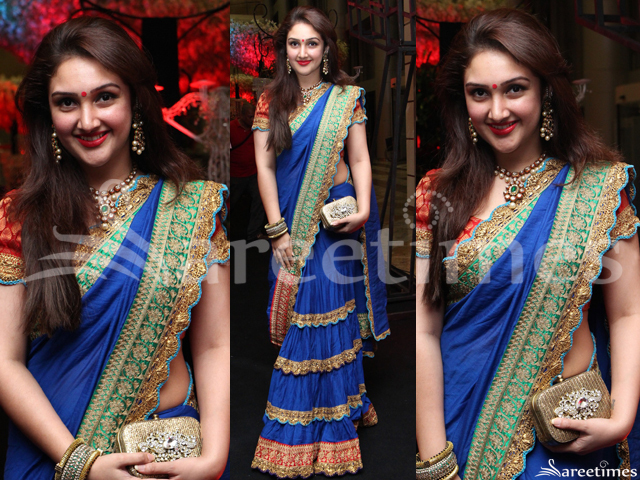 She was wearing a blue georgette saree with fancy floral border, paired with a contrast red blouse. 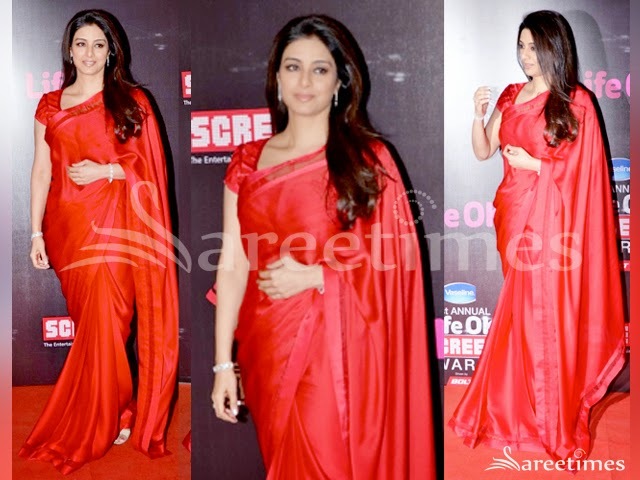 Actress Tabu at Screen Awards 2015 in plain red designer saree with velvette border, paired with red short sleeve blouse crosslines designs with velvette border round neck patterned blouse. 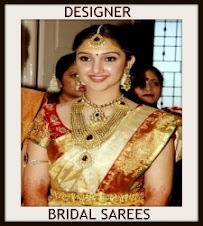 Actress Sophie Choudry at Sonaakshi Raaj’s store launch wearing a red designer saree. 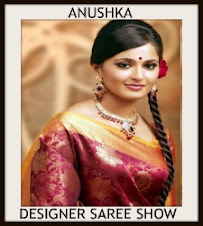 Plain dark red saree without border. 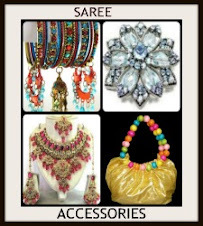 Paired with a red laced, sleeveless and closed neck blouse. 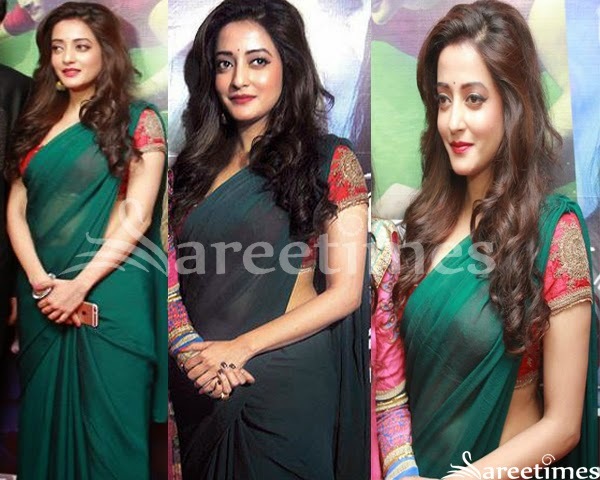 Actress Raima at both the premiere of “Kolkata Calling” wearing a green designer saree by Anamika Khanna. 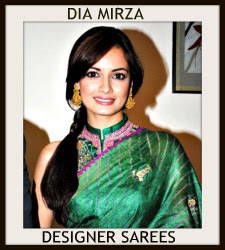 Green chiffon saree paired with a dark red short sleeved blouse. 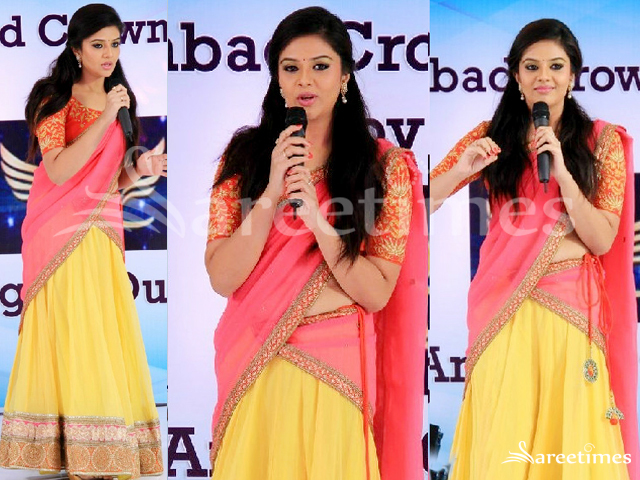 Actress Sree divya at "Mallela Theeram Press Meet" wearing a white saree. 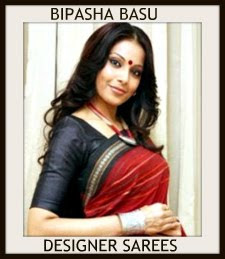 Plain white saree with red border paired with red colored short sleeve blouse. 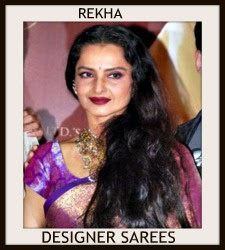 Actress Shyamala at "Loukyam 50 Days Celebrations" wearing a black saree. 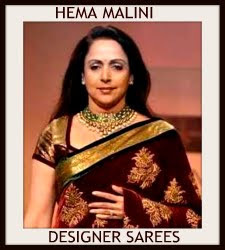 Black georgette saree with red border. 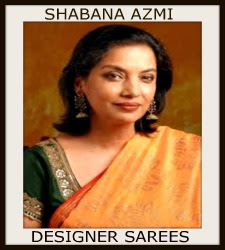 Paired with a red and black collar neck blouse with sheer neckline. 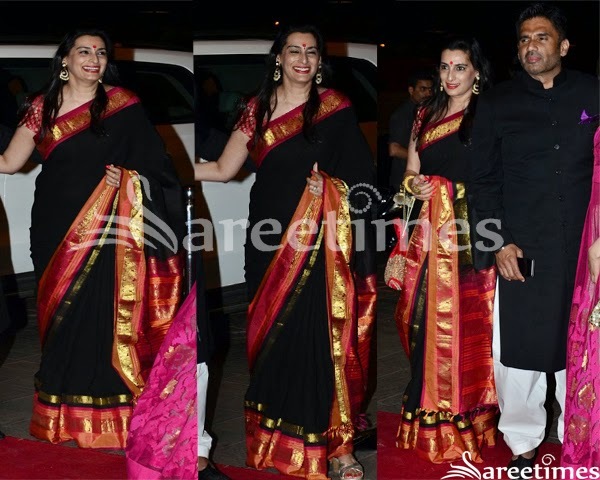 Manu Shetty at Aayush Sharma-Arpita Khan wedding reception wearing a traditional black saree . 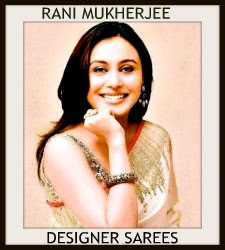 Black saree mixed it with orange and golden zari border.Paired with a short sleeve deep neck blouse.